Toledo, a set on Flickr. We spent our last day in Spain exploring the ancient city of Toledo, the once capitol of Spain. The city itself dates as far back as 3000 BC during the Bronze Age but was settled by the Romans in 182 BC. It is the perfect strategic stronghold as it is essentially an island, surrounded by a natural moat made by the Tagus River that circles the city on three sides. After Rome fell to the Visigoths, they made it their capitol in the 5th century until the Muslims took over in 711 AD. 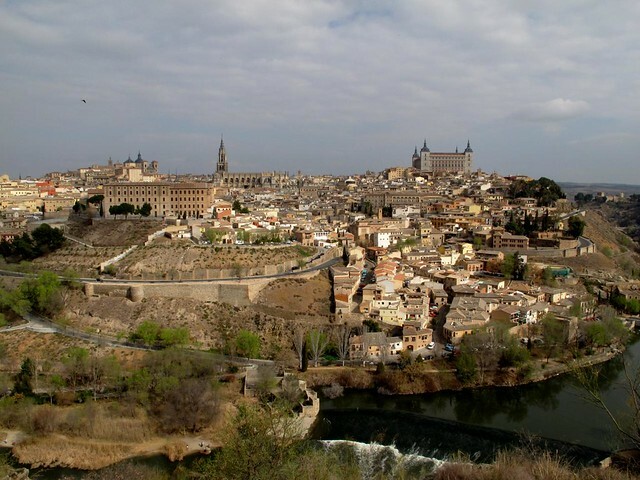 For quite some time, Toledo was home to a semi-peaceful co-existence of Christians, Jews and Muslims. 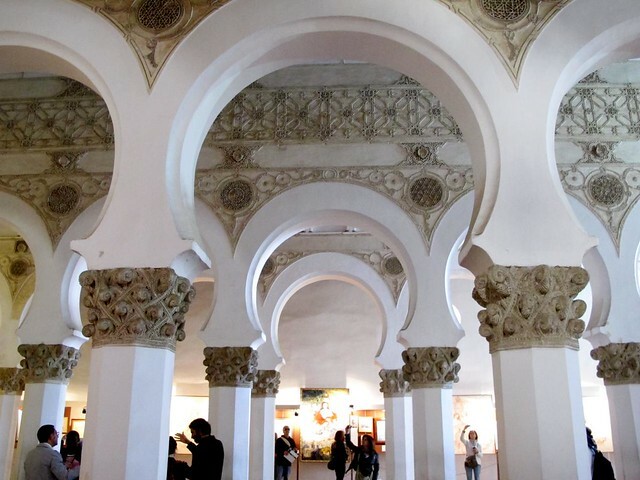 During the 11th century, the Christians reclaimed the city as part of the Reconquista. It is now the capitol of the autonomous region of Castille-La Mancha. The main economic activity aside from tourism is metal working which when combined with the tourism industry results in lots of ornamental swords, daggers and jewelry. While there we visited the 2nd oldest synagogue in all of Europe which was actually built by Moors and certainly reflects the Arabic style. 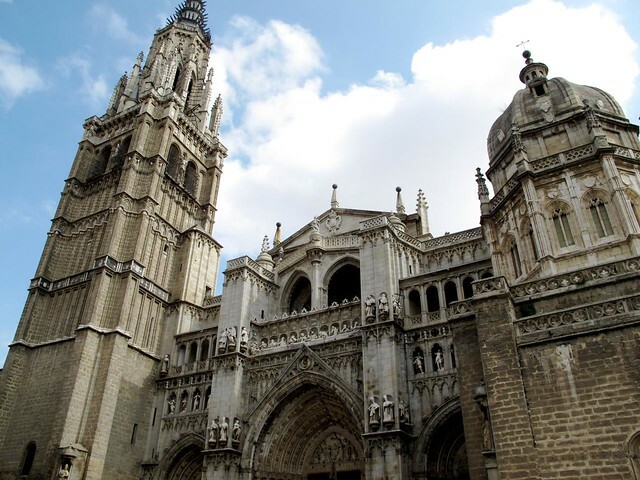 The Cathedral of Toledo is also an impressive church that houses the Corpus Christi, a hallowed and ornate object that the people of Toledo carry around the city on a special holiday that only they celebrate. Another interesting thing about Toledo is the amount of marzipan they produce and the creative and impressive things they make out of it. While there for lunch I had a dish of grilled venison that was quite good before we left.